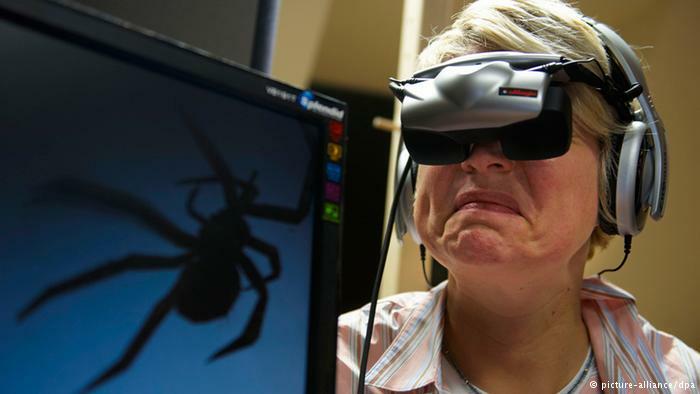 Virtual Reality for Games, Entertaining and Psychotherapy? di Tech@B 17 Novembre 2016 6 min. According to Digi-Capital, a company which manages private equity investments in the digital entertainment industry, by 2020 more than $120 billion will be invested into AR/VR startups. It seems that virtual reality is the next big thing, though so far it is rather ambiguous how much the virtual reality can become real, how soon the significant advancement will be seen and, most importantly, what will be the applications of these technological developments. Will it bring more fascinating computer games to brighten our daily lives, will we star in our favorite movies or maybe thanks to technology we won’t need an airplane to experience the most exotic places on Earth or even further away… Well, much can only be speculated but one thing is for sure – the advancement of VR technology will allow to access and treat more patients with mental disorders than ever by applying the Virtual Reality Therapy. Virtual Reality Therapy – what it is? Virtual reality therapy (VRT) is a method of psychotherapy which uses virtual reality technology to treat psychological disorders such as anxiety disorders and phobias. VRT as a term was firstly introduced in 1990s and in the beginning was primarily used to treat soldiers and war veterans suffering from posttraumatic stress disorder (PSTD). However, with years more and more potential of this therapy has been uncovered and its effectiveness has been documented in the vast amount of scientific studies. The basis for VRT lies in cognitive behavior therapy (CBT). CBT aims to help people with mental health disorders to overcome their anxiety and fears by identifying and recognizing the reasons behind those disturbing thoughts and feelings, and changing their negative or destructive beliefs and behaviors towards the factors which influence the emergency of them. A set of strategies are used to help patients to cope with their problems and to achieve an emotionally stable state. One of the strategies is a gradual exposure to troubling situations in controlled environments where patients have to fight their irrational anxiety and phobias. For example, in order to overcome a fear of flying, a person can take a course of flight simulation during which he would be placed in the aircraft reproduction and would have to encounter all the typical situations present during a usual air travel such as taking off, landing and turbulence. VRT follows similar method as of the above described therapies. However, the application of virtual reality technology during the therapy brings numerous advantages. First of all, therapeutic techniques usually involve exposure to the anxiety or fear-causing stimuli, however, it requires the patient to remember and imagine the uncomfortable situation. VR technology not only does this for the patient by showing the reproduction of reality, but also allows to gradually increase the level of exposure to the situation. What significantly accelerates the progress and success of the treatment, is the fact that the situation can be repeated as many times as needed until the patient feels completely comfortable and can be transmitted to psychologically tougher situations. In addition to that, generally, avoidance is one of the cardinal symptoms of patients with mental disorders. Thus, they are tend to avoid unpleasant to them situations. VR applied gradually and with the assistance of a skilled therapist, helps to give them extra encouragement to proceed and finally face the source of fear and learn how to tackle it. Moreover, virtual environment is completely safe to operate in, which is not always the case when a patient has to exercise his response and behavior in a real setting. Finally, VR technology makes it easier to help patients who due to physical movement restrictions otherwise would not be able to receive therapeutic help. One may argue that application of VR technology in the treatment creates a distance between a patient and a therapist and weaken the relationship between them which is inevitable for successful therapy. Nevertheless, reality is the opposite – VR technology allows a therapist to see what a patient is literally going through and how he is behaving. In this way a therapist can easier engage, so to say – put himself into the shoes of a patient. Hence, a discussion session can become more specific and detail-oriented than if a patient would only retell the experience in his own words. At present, VR has already been applied for treating not only various forms of phobias, paranoia and anxiety, but also proved to be applicable as a tool to help people experiencing depression and increased level of stress or even having attention deficit hyperactivity disorder and autism. It’s important to mention that VR technologies are already being applied not only as a treatment, but also as a mean to prevent mental disorders. For example, going through simulated situations which may happen on the battlefield allows to psychologically prepare soldiers for future stress and reduce the risk of PSTD. Nevertheless, there are many more visions on how VR technology could be applied to psychotherapy in the future and many research studies support the potential clinical uses of VR. It is expected that in the future the cost of VRT should decrease and it might even become accessible remotely. However, two obstacles are currently highlighted as the ones preventing a wider utilization of VR technology in the field of therapy. Firstly, a significant improvement should be achieved in the development of special systems and headsets, and of course – making them accessible to the masses. Luckily, this situation is expected to change for the better, since the headsets like Oculus Rift and HTC Vive went on sale this year. The second obstacle is the need of skilled psychotherapists who would have a deep understanding of VR technologies. Ironically, this understanding could be developed only when technologies and tools will become widely accessible and applicable. When it might happen – we can virtually guess. 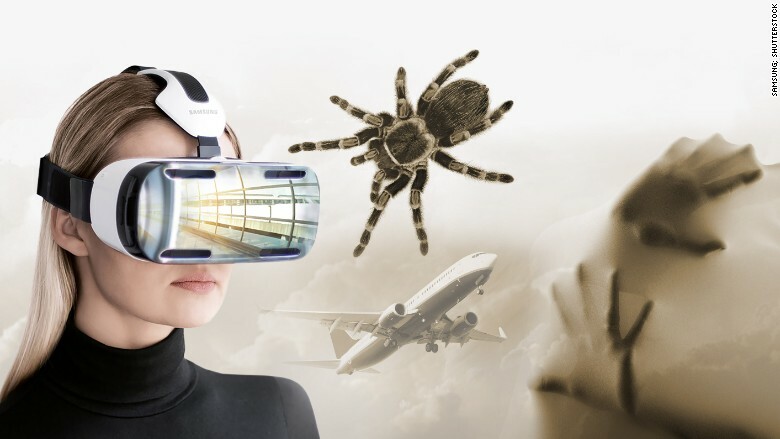 Nevertheless, it seems that the pace of advancement in this field will be mainly influenced by breakthroughs in VR technology for the entertainment industry.